The Spent Spinner Black Widow is easy to spot on the river because of the puffy rabbit wings. The black body creates a nice contrast for the low light conditions, making it easy to spot for the trout as well. 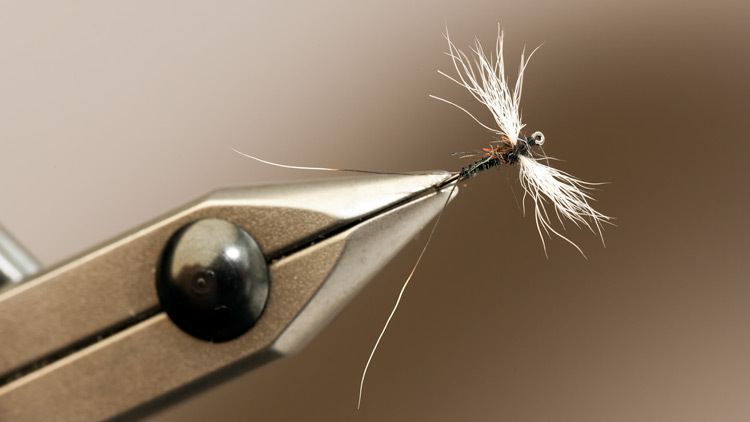 This effective fly is tied with a split badger tail, and represent a semi drowned spent spinner. 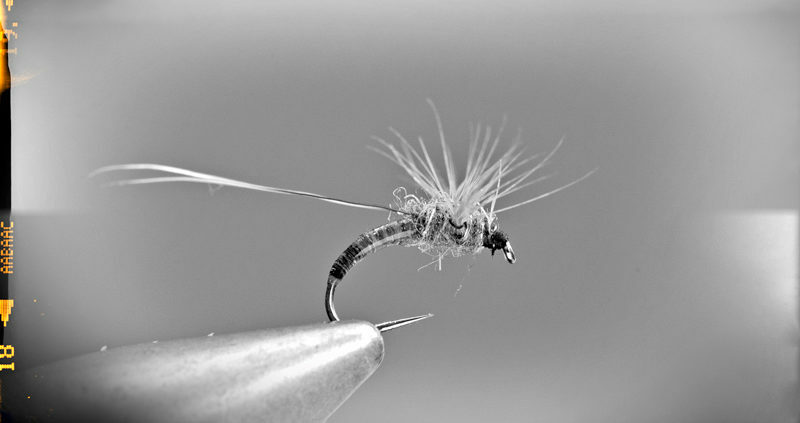 The way the tails are tied, balances out the fly, and gives it good floatability. The Drowning Quill Spinner is in a family of similar curved spinner designs found in the spinner section on this site. This is the spinner for the morning after a spinner fall. 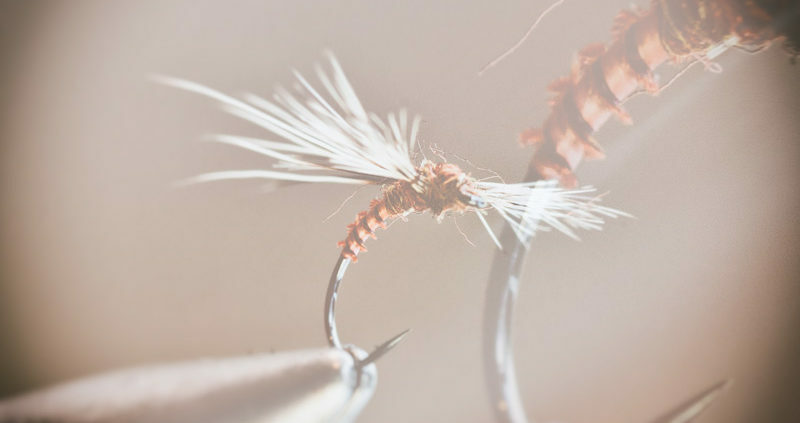 It’s tied on a radical emerger hook, and is meant to imitate a spent spinner that’s about to drown. I created this style after a night just observing a massive spinner fall som years ago.